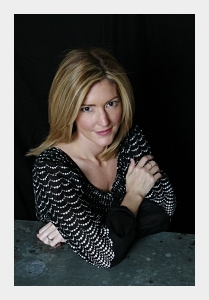 Kathryn Stockett was born and raised in Jackson, Mississippi. After graduating from the University of Alabama with a degree in English and Creative Writing, she moved to New York City where she worked in magazine publishing and marketing for nine years. She currently lives in Atlanta with her family. The Help is her first novel. Do you think this book was true to what life was like in Mississippi in the early 1960's? How much of a person's character would is shaped by the times in which they live? To what extent do you think a person's flaws, such as racist attitudes and behaviors, can be forgiven because it is the norm in the surrounding culture? Do you think there are still vestiges of racism in relationships where one person works in or around another’s household? Have you heard stories, for instance, people who put away their valuable jewelry before their nanny comes – where they trust this person to look after their child, but not their fancy gemstones? How much do you think the dynamics of relationships between black people and white people have changed since that time period? Which characters did you find most likable and sympathetic? Abileen expected that once Mae Mobley started school she would lose her respect and perhaps even her love. Is racism inherent or taught? Could you sympathize with Miss Hilly? Do you think it is possible to be a good mother despite deep character flaws? Most women alter their natural looks in the definition of beauty. Any comments on Skeeter's hair shellac system? Did you ever adopt a bizarre beauty regimen? Skeeter was willing to overlook so many of Stuart’s faults, and it’s not until he literally gets up and walks away that the engagement falls apart. What did you think of the relationship between Skeeter and Stuart? Did you want them to remain together? Could it have worked? Like Hilly, Skeeter’s mother is a prime example of someone deeply flawed yet somewhat sympathetic. She seems to care for Skeeter – and she also seems to have very real feelings for Constantine. Yet the ultimatum she gives to Constantine is untenable. And most of her interaction with Skeeter is critical. Do you think Skeeter’s mother is a sympathetic or unsympathetic character? Why? Skeeter, Hilly, and Elizabeth are childhood friends who grow up in the same social class in the same area, and with a presumed set of shared values. What does the friendship between Hilly and Skeeter reveal about Jackson society? What motivates Hilly, and why is she important to the other characters? Miss Celia clearly doesn’t fit in. What does this reveal about Jackson society? What does Elizabeth's attitude toward Mae Mobley reflect about the children and maids in The Help? How does Aibileen see the children that she raises? What triggers her responses to the children? Why does Skeeter understand racism differently than the other white characters? Of all of the female characters in The Help, Skeeter has the greatest degree of freedom. She is single, childless, college-educated, and with a twenty-five thousand dollar trust fund. How does Skeeter's gender affect her? A difference between Abileen and Minny seemed to be that Abileen could take all the abuse/put downs as part of life where as Minny couldn't. She knew she was just as good as any of the women she worked for. Can you imagine having to put up with what they put up with? What did you think about Minny's pie for Miss Hilly? Would you have gone as far as Minny did for revenge? And what did you think about Hilly's mum bidding for the pie for Hilly at the dance function? What did you think of the ending? As Abileen, walks out of the door she says she feels free, but is there a price to freedom?